Superdry men's Active Training zip hoodie. Push for progress in our Active Training zip hoodie. 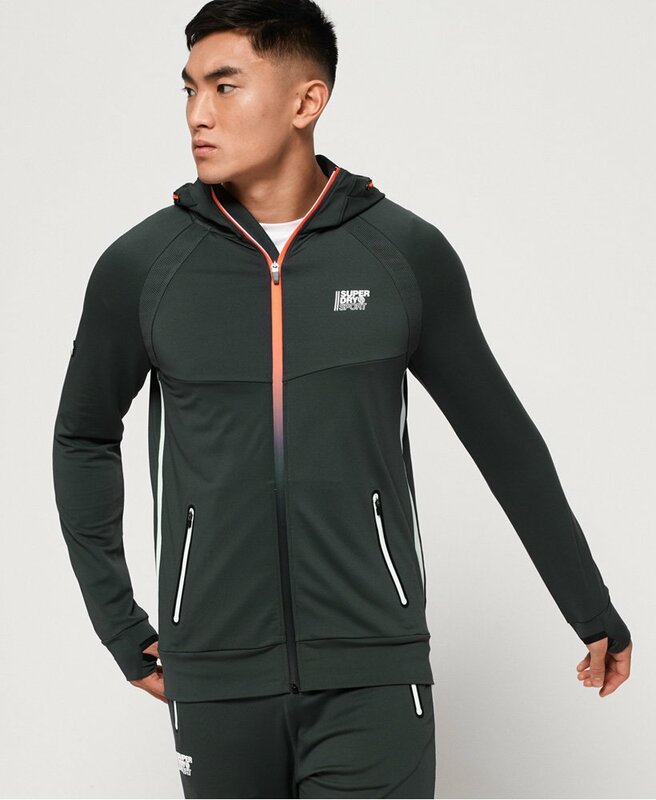 Featuring a bungee cord adjustable hood, twin zipped pockets and thumbholes in the cuffs, this zip hoodie is great to layer up with post workout session. The Active Training zip hoodie is completed with a Superdry Sport logo on the chest and sleeve and contrast stripe detailing down the sides.